Dr. Teresa Aldredge has been a counselor/instructor at Cosumnes River College since 1992. She also serves as the Program Coordinator/Counselor for the Diop Scholars Program on the campus and also teaches in the Human Services department. Dr. Aldredge brings statewide organizational leadership to the board from her experience as President of both the California Counseling Association (CCA) and president of the California Community College Counselors Association (4CA). In addition, she has served as interim Treasurer for the Faculty Association for California Community Colleges (FACCC) for two terms and currently serves on the FACCC Board as Governor at Large. She has served as Academic Senate President and the Counseling Department Chair at Cosumnes River College. 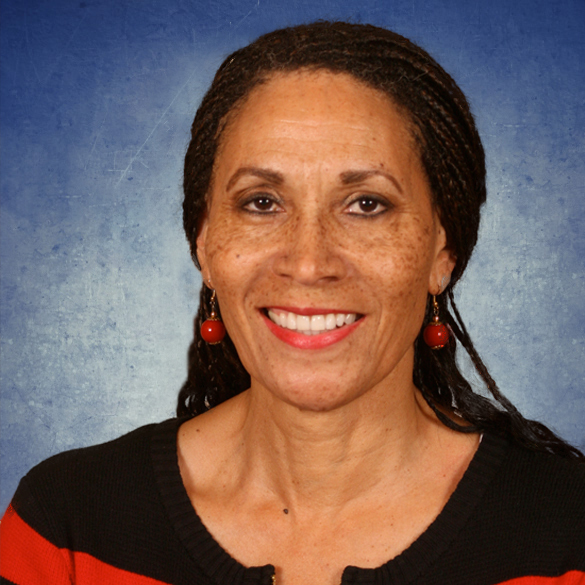 Dr. Aldredge is a founding member of the Umoja Community of California Community Colleges and holds the position of President of the Board of Directors of the Umoja Community Education Foundation. She served as Acting Executive Director during the search for a permanent Executive Director. Dr. Aldredge received her A.A. in Liberal Arts from Palomar College, a B.A. in Psychology from the University of California, San Diego, her M.A. in Education: Counselor Education from San Diego State University, and her Ed.D. in Educational Leadership from the University of California, Davis and California State University, Fresno joint doctoral program.